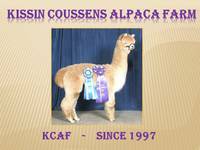 Sells bred to (fawn rose gray), blue ribbon winner, Accoyo America Katmandu for a 2019 cria. Liberty has always been perfectly healthy and a 100% reliable producer. 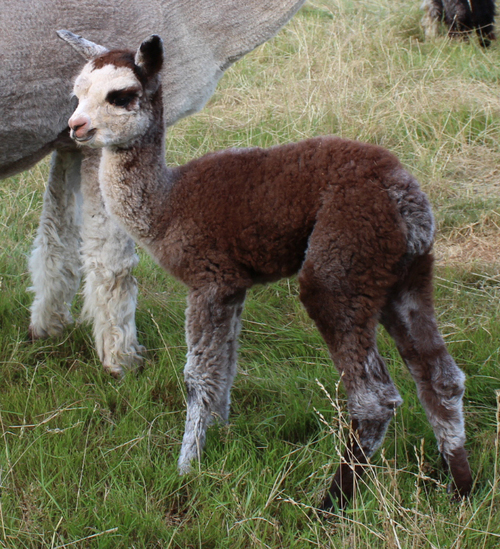 She has been bred to CH Snowmass Royal Fox for a 2018 cria. 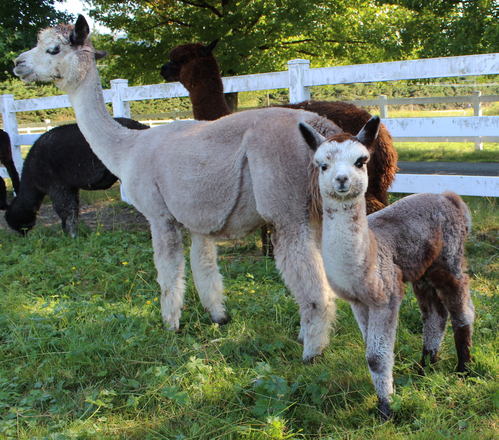 This adorable little darling's award winning gray full sister sold at the AOBA auction for $16k and another breeder told us she was the best gray at that show, even though she didn't compete. We're seeing similar quality here at the beginning. Champion parents and unrelated to the Accoyos. 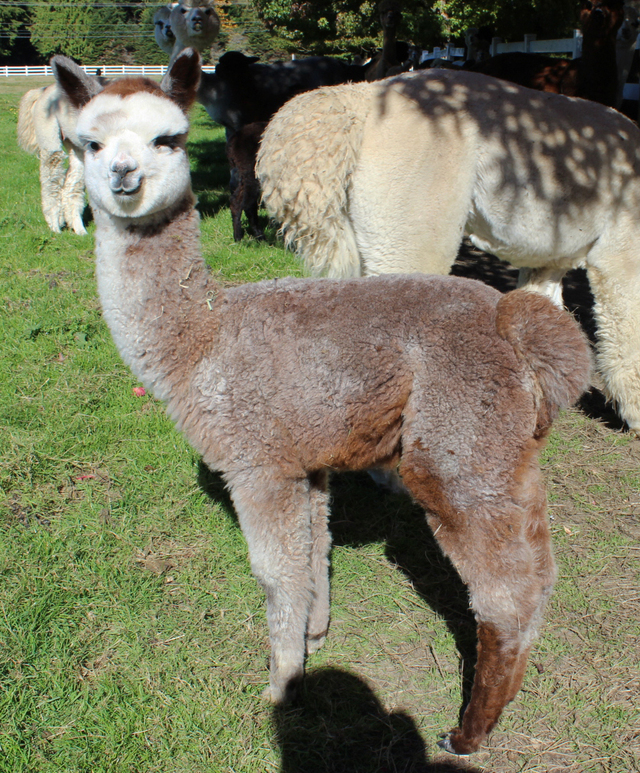 She's got the quality and the pedigree to add big success to your gray breeding program. Her sire is producing 13 to 14 micron gray juvenile and tui fleeces with low SDs. Terms and Financing can be customized to suit your needs. Please call to discuss the possibilities.